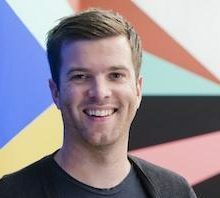 Tom Ravenscroft is a London based radio presenter. Tom introduces quality new music to listeners via a number of projects including his regular Friday night 9pm show and Recommends show on BBC Radio 6Music. He frequently deputises for Steve Lamacq and Gideon Coe on the station, as well as hosting major shows including Latitude, the 6Music Festival and the 2015 Mercury Music Prize. He has also worked on documentaries for BBC Radio 4 and live music events for BBC Radio 3. He has presented the Isle of Wight Festival for Sky Arts, iTunes Festival for Channel 4, On Track with SEAT, Abbey Road Debuts and John Peel’s Record Box – a show based on Tom’s father, in which he travelled around Britain and the U.S interviewing seminal musicians such as Elton John, Jack White and Damon Albarn.